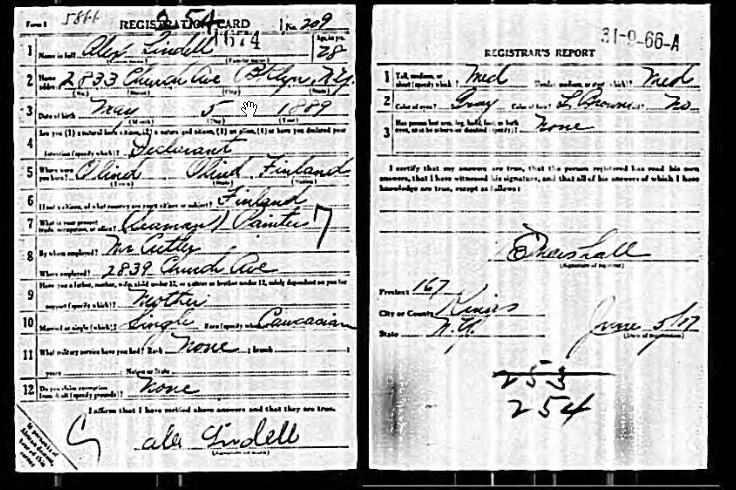 WWI Wounded 78th Division Soldier – Exciting Research Update! 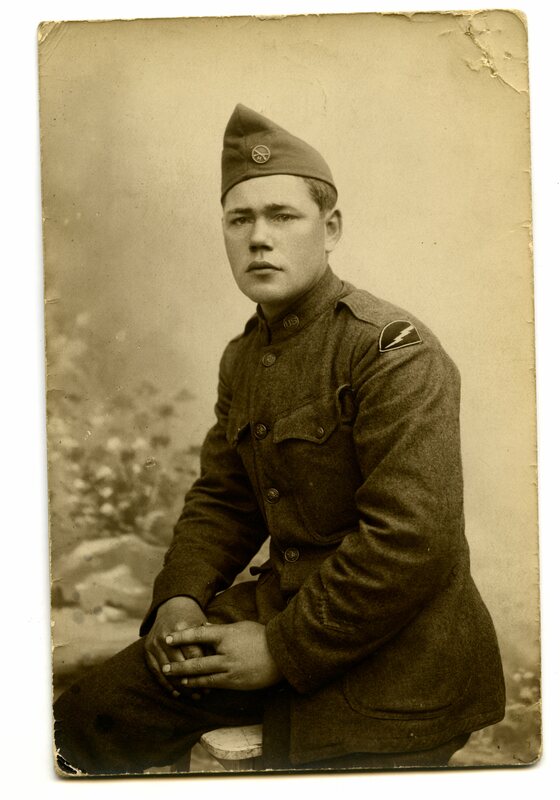 I’ve been recently turned on to the magic of ancestry.com, one of the best tools for researching WWI images I’ve yet to discover. 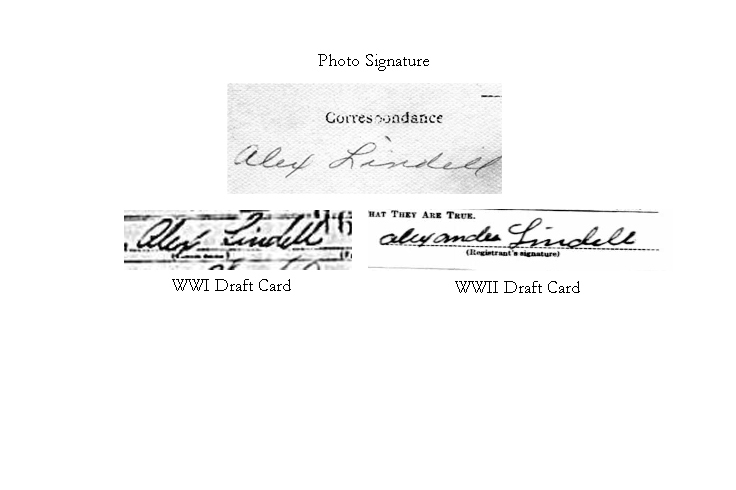 I decided to start a search for one of the names written on the back of one of my better WWI images. 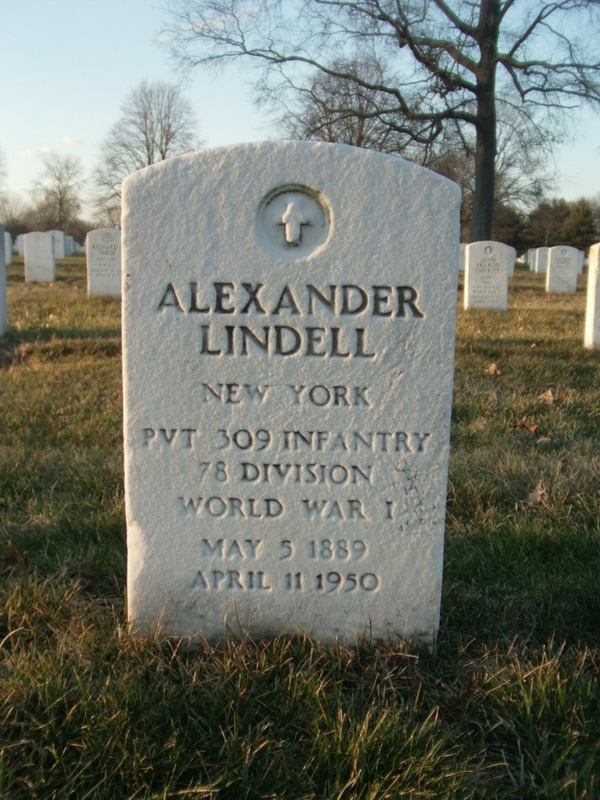 Alex Lindell poses in his WWI French portrait photo showing off his missing finger – likely a battle wound while he was with the 78th Division. 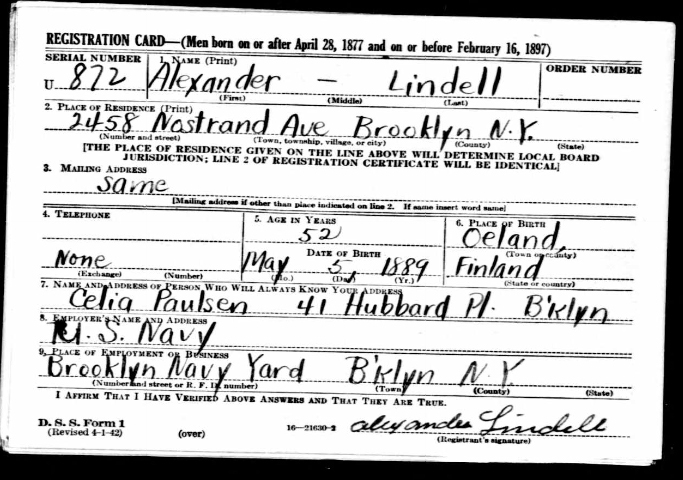 After a search of draft cards through the National Archives, I came across a pair of WWI and WWII draft cards with the presumed identity of Alex Lindell. After comparing the signatures on both my photo and the draft cards, I realized I had a match! Success!